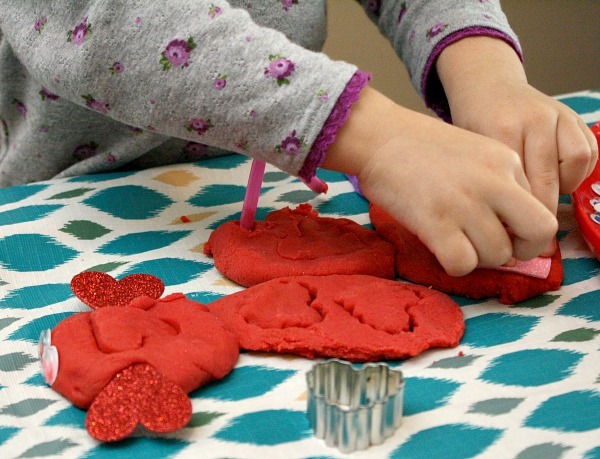 I’m sure you knew it was coming…we’ve put away our snowflake play dough, and it’s time for a little valentine play dough fun. 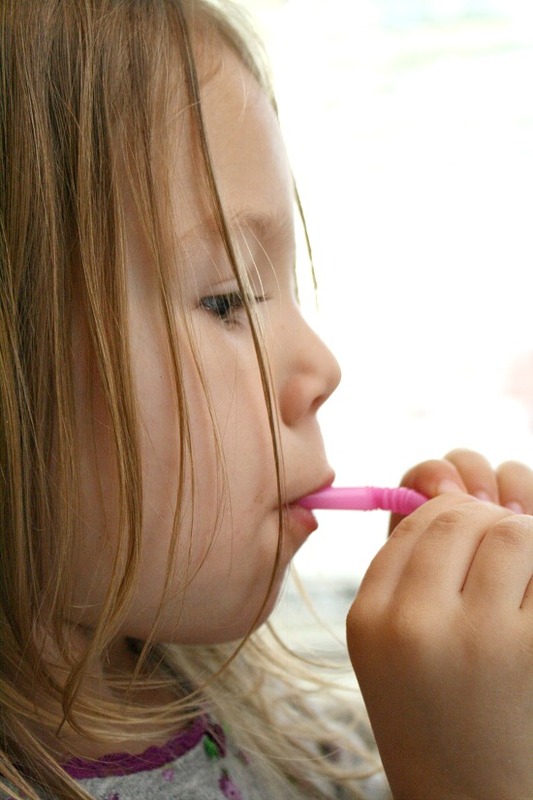 If you’ve followed this blog long, you probably also know that my little ones love bugs (at least from a distance). 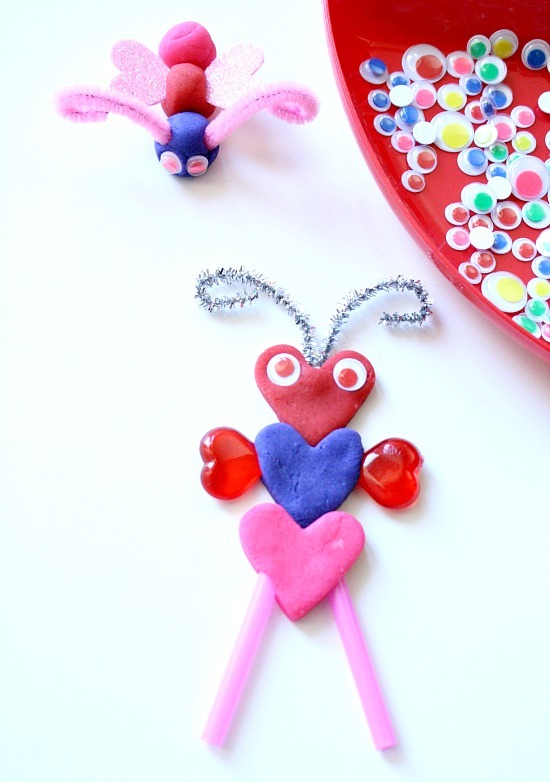 I thought it’d be fun to combine their love of bugs and all things hearts into a little love bug play dough invitation to play. ABOUT VALENTINE’S DAY AND HEARTS. To make our play dough we used the no cook play dough recipe from The Homemade Play Dough Recipe Book. We divided the batch into three equal(ish) parts and used red, violet, and rose icing colors to add a little Valentine feel. 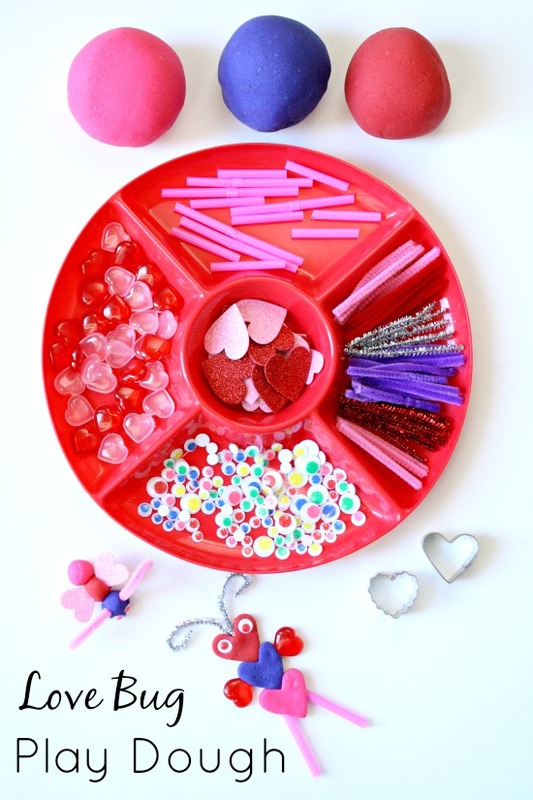 Are you making any valentine play dough? 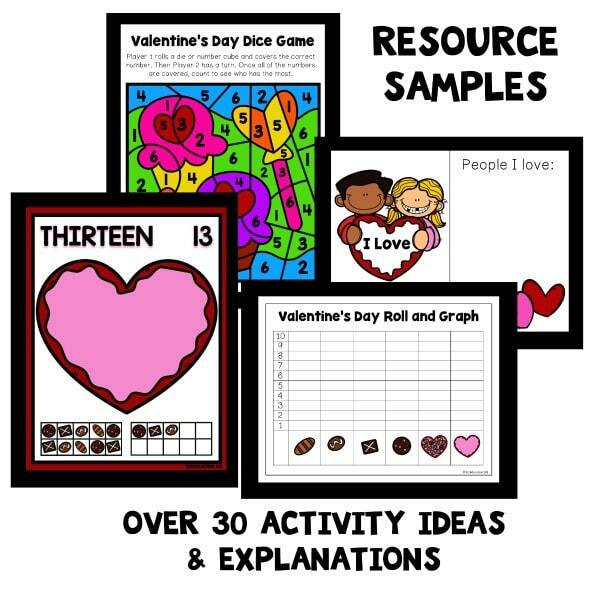 I just found your website and I’m so excited to use some of your ideas with my kids! 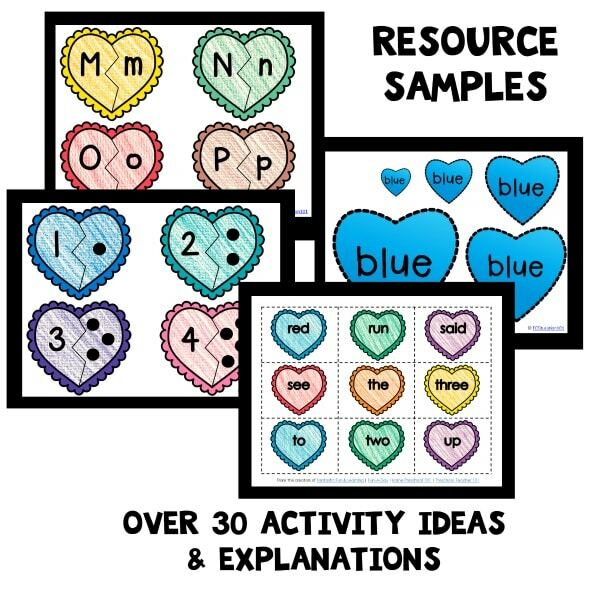 I love how you lay out the materials – where did you get the trays you put the supplies in? Thank you so much, Alyson! I hope your kids have tons of fun. I find our trays at Walmart in the seasonal section. Some craft stores and Dollar Tree also have trays that could work. I love, love, love this idea! I just shared it on my FB page and will use it in my classroom next week. Thanks for sharing! I’m so glad you like the idea, Jamie. Thanks for sharing it, too. Your invitation to play is so beautiful! I also love your example bugs. I often try to leave things open ended so my boys can come up with their own ideas to play, but they definitely play longer when I give an example creation. 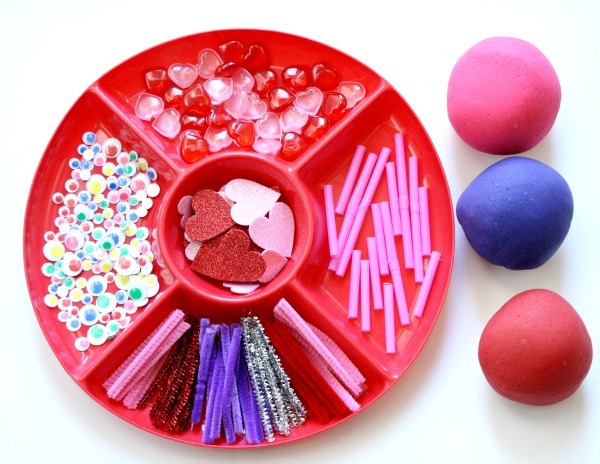 I’ll have to try a set up like this when I make new playdough! Those play-doh love bugs are so stinkin’ cute!!! Love this! Ooh, that’s a great question, Kristen! We have a large set of storage shelves that store most of our supplies, and we have a small section of everyday materials that we keep readily available near our school area for quick grabs. wow, what a great idea…so going to have to try this with my guy. Happy Saturday Sharefest.